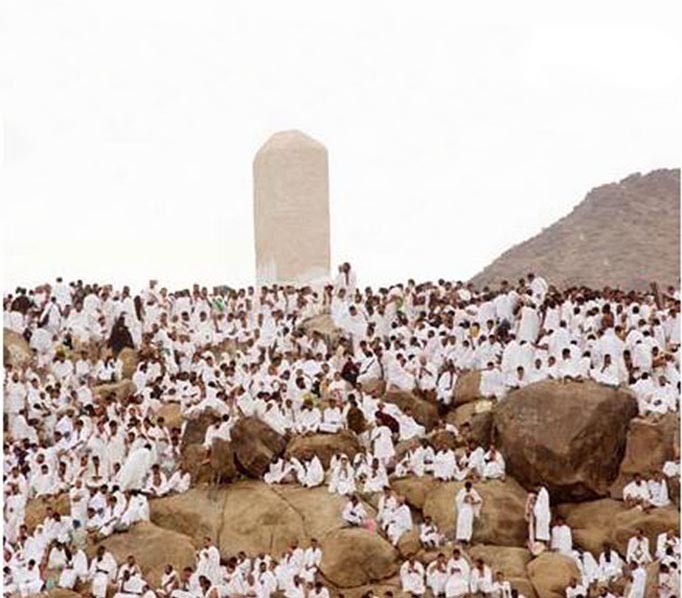 I have posted this before, but the last sermon of our beloved Prophet (Sallahu Alaihi Wassalam), delivered on the 9th day of Hajj at the plain of Arafat, never fails to move me to tears. Every time I read it, I find something new in it and every time I read it, I marvel at the beauty, justice and sheer goodness in it. I make dua that these words enter the hearts of all Muslims and that we all are blessed with the desire to implement with them. “O People, lend me an attentive ear, for I know not whether after this year, I shall ever be amongst you again. Therefore, listen to what I am saying to you very carefully and take these words to those who could not be present here today. O People, it is true that you have certain rights with regard to your women, but they also have rights over you. Remember that you have taken them as your wives only under a trust from God and with His permission. If they abide by your right then to them belongs the right to be fed and clothed in kindness. Do treat your women well and be kind to them for they are your partners and committed helpers. And it is your right that they do not make friends with any one of whom you do not approve, as well as never to be unchaste. O People, listen to me in earnest, worship God, perform your five daily prayers, fast during the month of Ramadan, and offer Zakat. Perform Hajj if you have the means. All mankind is from Adam and Eve. An Arab has no superiority over a non-Arab, nor does a non-Arab have any superiority over an Arab; white has no superiority over black, nor does a black have any superiority over white; [none have superiority over another] except by piety and good action. Learn that every Muslim is a brother to every Muslim and that the Muslims constitute one brotherhood. Nothing shall be legitimate to a Muslim which belongs to a fellow Muslim unless it was given freely and willingly. Do not, therefore, do injustice to yourselves. Remember, one day you will appear before God and answer for your deeds. So beware, do not stray from the path of righteousness after I am gone. O People, no prophet or apostle will come after me, and no new faith will be born. Reason well, therefore, O people, and understand words which I convey to you. I leave behind me two things, the Quran and my example, the Sunnah, and if you follow these you will never go astray. My thoughts today are with my brothers and sisters in Arafat who will have spent the day with their arms raised in dua (supplication) and with hopes of their sins being forgiven. May Allah (SWT) accept their deeds and their dua's insh'Allah. Ameen. The Prophet (Sallahu Alaihi Wassalam) said: "There is no day on which Allah frees more of His slaves from Fire than the Day of Arafat, and He verily draws near, then boasts of them before the angels, saying: ‘What do they seek?’” [ Hadith Muslim]. Great detailed information, I’ll be visiting you more frequently, here is very interesting information.